A traditional design featuring an image of a dove flying above the earth. Peace, Hope & Prosperity is a traditional designwhich is suitable for company, corporate, business or personal use. CN0231 is a perfect choice for small - large companies. 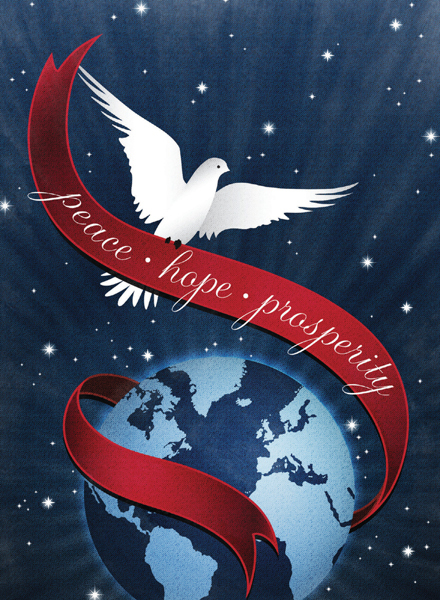 Peace, Hope & Prosperity is printed onto a quality board and has a gloss finish.